The 2490 plan features a grand 2 story entrance and dining room. The 3 bedroom, 2.5 bath floorplan opens up into a large kitchen with center island, breakfast area and family room. The master bedroom has an elegant tray ceiling and adjoining master bath features a dual vanity, separate shower, soaker tub and extra large walk-in closet. A large game room separates the master suite from the secondary bedrooms and bath. 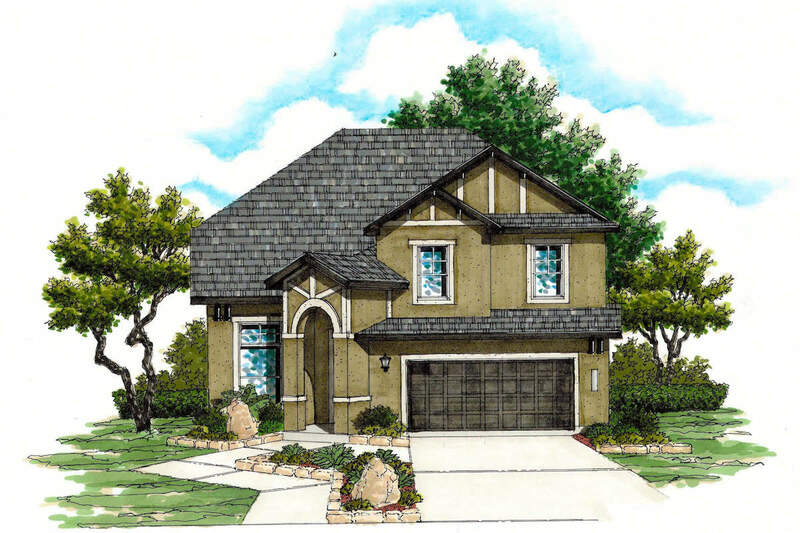 The Terraces at the Cliffs at Cibolo is a gated community that will offer homes from 1977 square feet. The community offers NEISD schools and an exceptional lifestyle with great shopping, dining and entertainment choices. Minutes away from the Villages at Stone Oak shopping. The Terraces at the Cliffs at Cibolo is a gated community that will offer homes from 1,977 square feet to 3,204 square feet. Close to Hwy 281 and 1604, The Terraces is located in an area booming with new development. The community is convenient to the brand new Villages at Stone Oak shopping and dining area featuring Chili’s, Ann Taylor Loft, DSW Shoes, Super Target, Home Goods, BJ's and many more fantastic shops. Situated near the new JW Marriott San Antonio Hill Country Resort & Spa featuring two TPC golf courses. Add all this to the Exemplary- rated NEISD schools, and the value and prestige of a new Texas home, and you have a prime location for living, working, and playing.